Welcome to the Pentatomoidea Home Page. 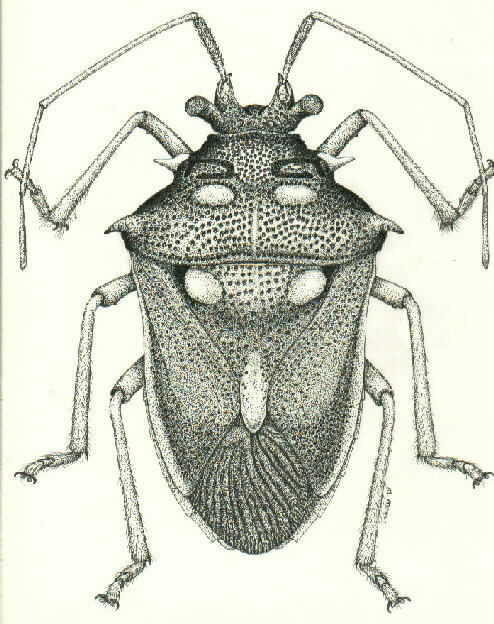 This website contains (or will contain) a wealth of information on the various families of the Pentatomoidea (especially the Pentatomidae), and even some information that will be of general interest to Heteropterists. This superfamily belongs in the hemipteran infraorder Pentatomomorpha, and it contains the following families: Acanthosomatidae, Aphylidae, Canopidae, Cydnidae, Dinidoridae, Lestoniidae, Megarididae, Pentatomidae, Phloeidae, Plataspididae (Plataspidae), Scutelleridae, Tessaratomidae, Thaumastellidae, Thyreocoridae (Corimelaenidae), and Urostylididae (Urostylidae). More information on each of these families is presented within the Systematics section of this website. 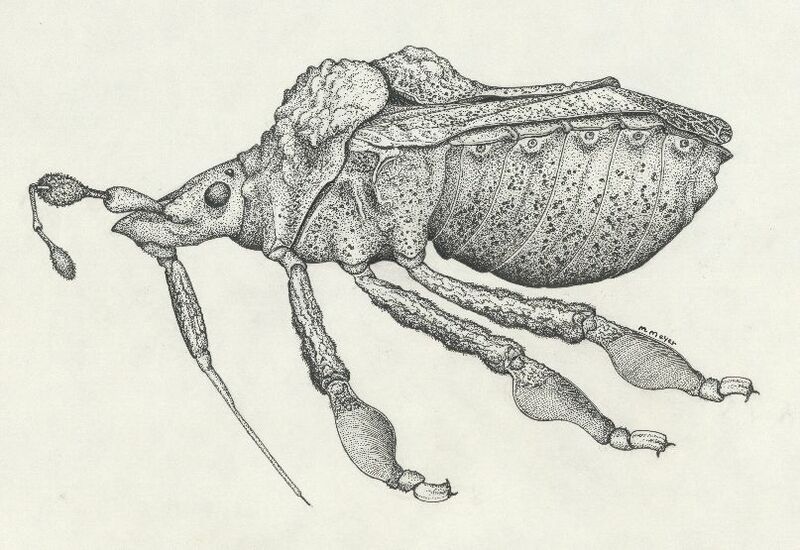 This website also contains information on present day pentatomid researchers, and biographical and type information on past heteropteran workers. It also contains a bibliography of references pertaining to all aspects of the Pentatomoidea. 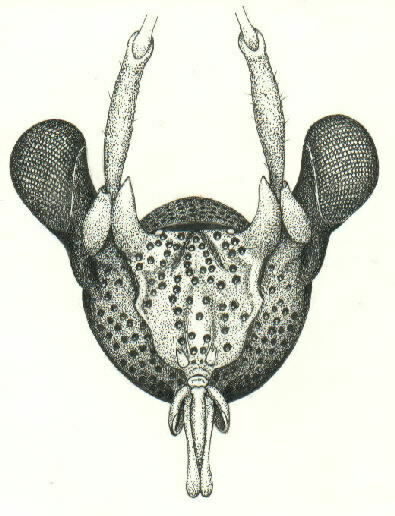 There are alphabetical indices to pentatomoid genera and species, with more specific information on various genera and species. 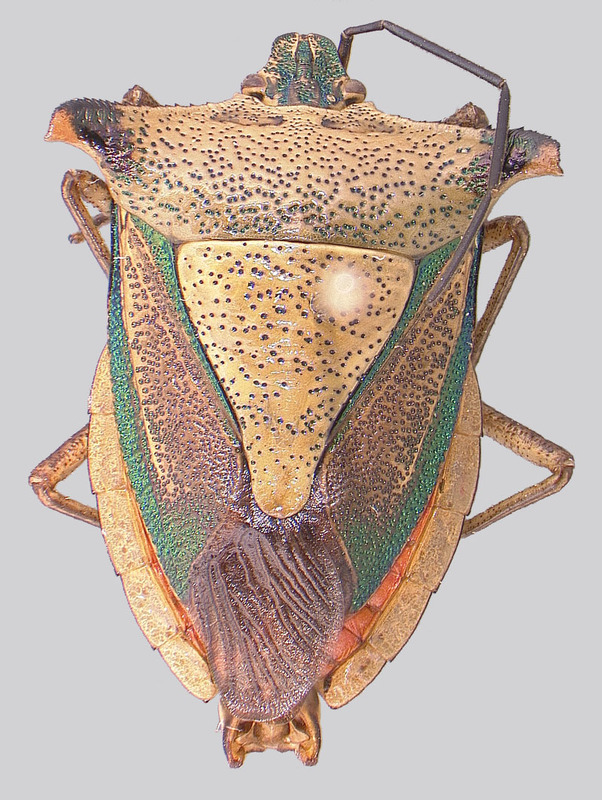 Updated versions of the catalogs of the Dinidoridae and the Tessaratomidae are included (or will be soon), as well as a list of additions and corrections to the Cimex catalog. I am also compiling lists of host plant records, prey host records, and parasitoid and predator records. Finally, I plan to include various collection lists, lists of identifications, and notes I have taken from my various visits to research museums. This is all with the hope of aiding others in conducting research on this fascinating group of insects. So, please take some time and browse the various sections of this website. I will gladly receive any comments and/or criticisms (suggestions) that will help improve this site. I am also willing to identify (or at least try) any pentatomoid specimens from anywhere in the world. Please contact me first, but I have never said no yet. Also, let me know if you have any questions pertaining to pentatomoid systematics, ecology, etc.